Spray 2 1/2- to 3-quart slow cooker with cooking spray. In small bowl, mix marmalade and chili garlic sauce. 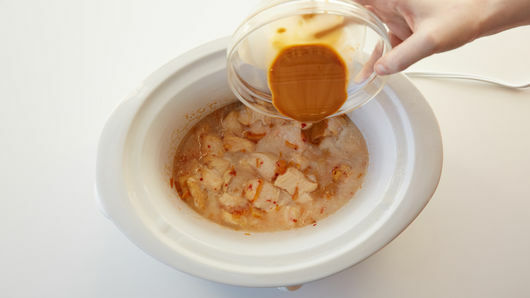 Add chicken and marmalade mixture to slow cooker, mixing to thoroughly coat chicken with marmalade mixture. Cover and cook on Low heat setting 1 1/2 hours. 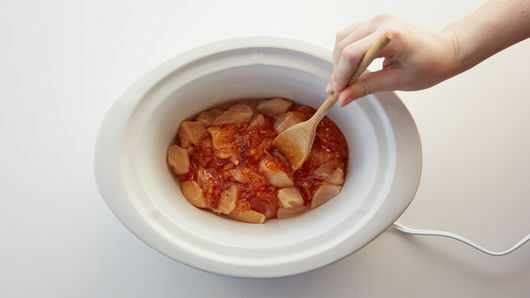 In small bowl, mix cornstarch and soy sauce; stir into slow-cooker mixture. Cover and cook on High heat setting 30 to 40 minutes or until chicken is no longer pink in center and sauce is thickened and bubbly around edges. Remove from slow cooker; sprinkle with cilantro. Serve with rice. Adjust the level of spicy heat by adding more or less of the chili garlic sauce. For a family friendly meal, start with 2 teaspoons, and serve with extra for those who like more spicy heat. 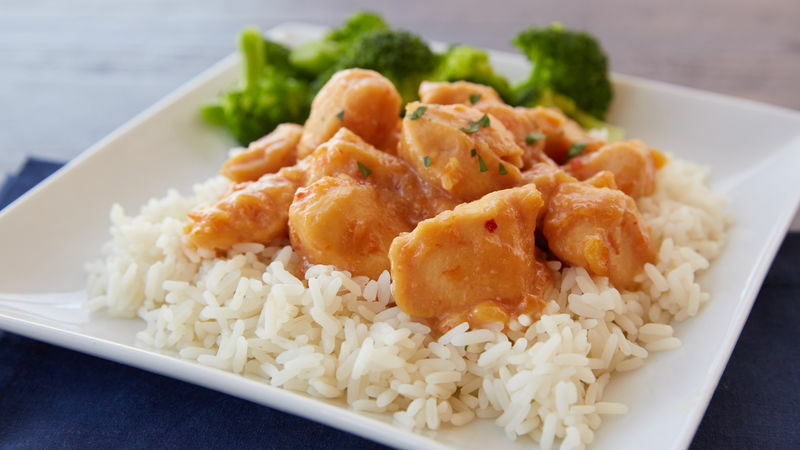 Serve with a side of broccoli or green beans for a complete meal.